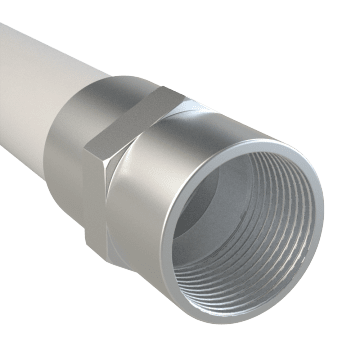 Use these lightweight Class 250 aluminum fittings to connect pipe ends in medium-pressure pipe systems. These fittings are heat and corrosion resistant, making them a good choice for compressed air systems where small amounts of moisture might be present. They are NPT threaded for a tight seal. 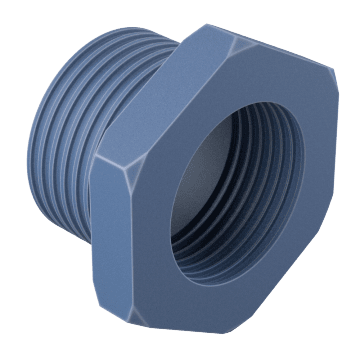 Connect male and female pipe ends of different diameters with these bushings. 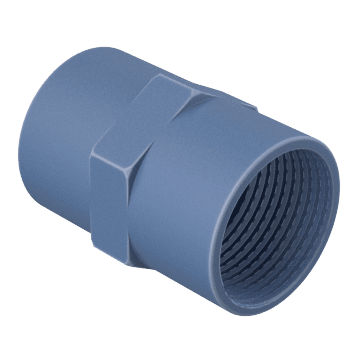 A good choice for connecting pipe in tight spaces, bushings only add a small amount of length to your pipe system when connected. Their hex head helps you get a secure grip for tightening and adjusting with a wrench. Join two male pipe ends of the same diameter with these couplings to extend your pipe run. Couplings are typically used for long-term connections since they can be difficult to remove or adjust once installed.